beautifully performed by Bertaud himself. 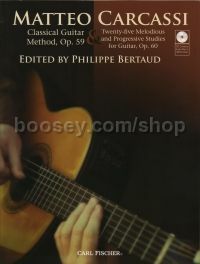 Our re-imagination of the truly classic guitar method will prove to be as indispensable to present-day guitar students as it was to its first pupils during the 19th century. music for more than a century. For more information about new publications from Carl Fischer Music.